There is a group of small business entrepreneurs that meets regularly in a small corridor between kiosks in Eldoret town to talk about English Premier League football. In this part of the world, informal business is also a lifestyle whose most distinctive characteristic is long hours of talk and social interaction. At one level, therefore, it can be argued that talk about English Premier League football is just part of the everyday life experience. Nevertheless, this paper argues that there are cases where English Premier League football talk has acquired some characteristics of ritualized performance. In this view, the basic assumption is that these talk sessions are structured by an underlying principle that is comparable to what Richard Schechner (2006) refers to as ‘restored behaviour’, a sort of script that informs the performance. Methodology consists in an adapted version of the conversation analysis approach that also incorporates elements of participant observation. 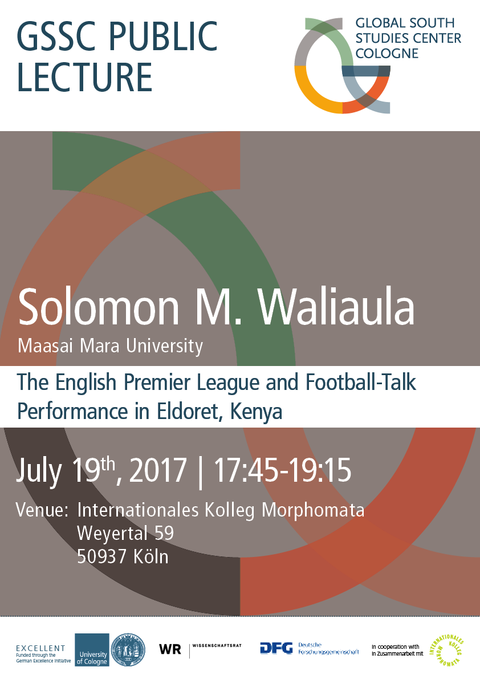 This paper hopes to establish a relationship between social context, media consumption and football fandom. In this light, it is argued that individuals that share a ‘talk-based’ socio-economic experience can adapt a popular subject such as English Premier League football into their daily social interaction. In this sense, ritualized football-talk is seen as a product of immediate circumstances: the regular audience reception of televised English Premier League football and the everyday social interaction of the said audience in their practice of informal business enterprise.